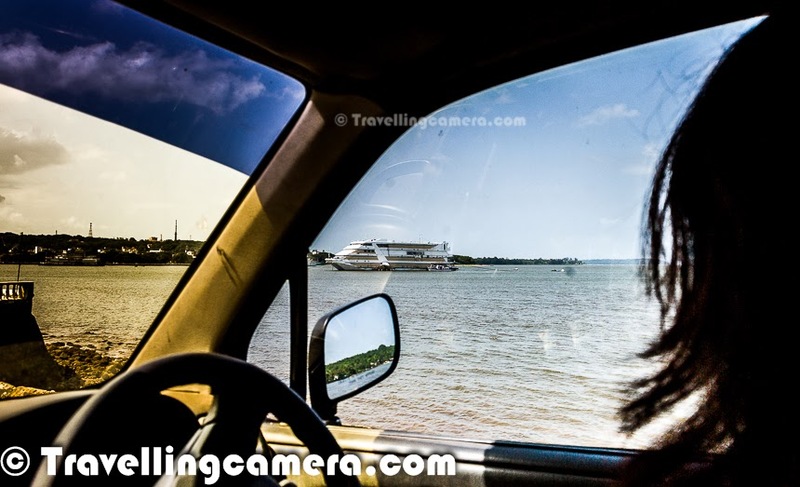 While we are sharing about main places to visit and explore in Chicago city, we can't miss one of the most popular park here. 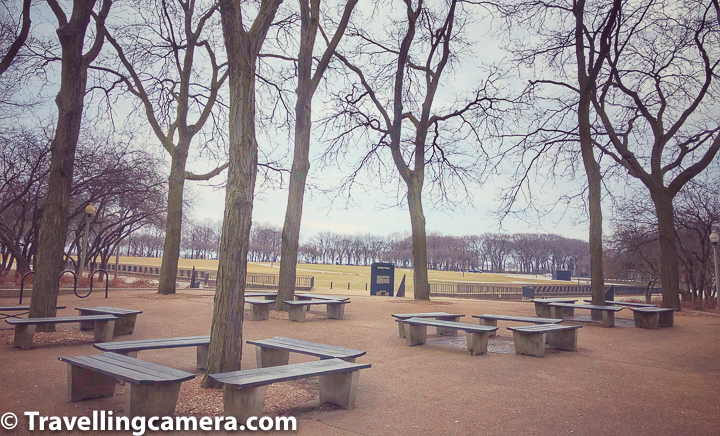 The park which is located close to Chicago Downtown and Magnificent Mile. Millenium Park one of the important milestone in Chicago city and can't be ignored, even if you try to :). 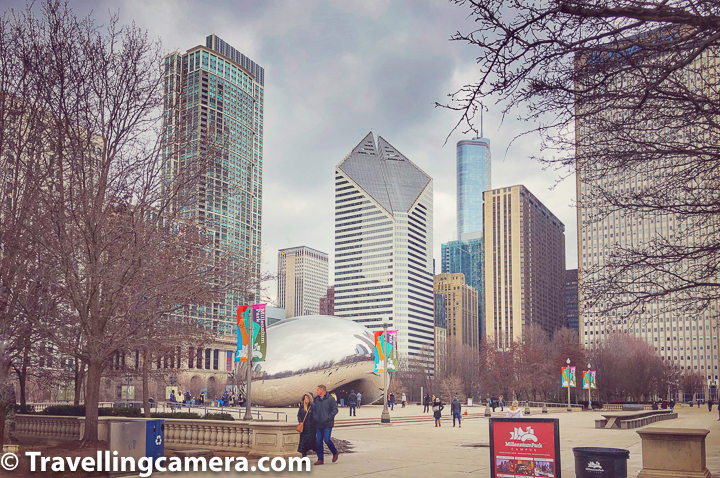 This post shares more interesting facts about Millenium Park of Chicago & tips to make your visit special to this place. 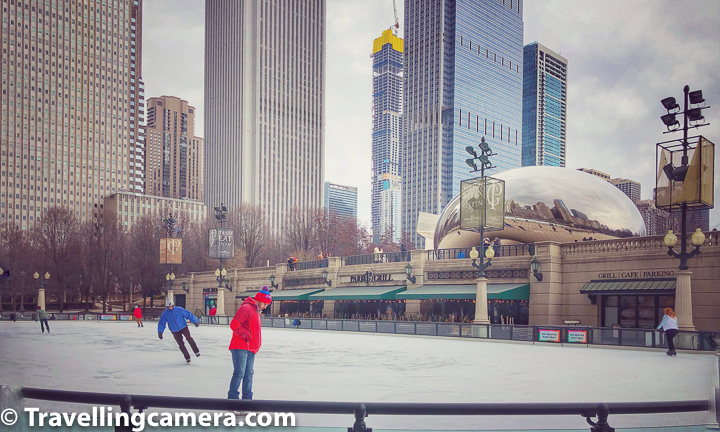 Above photograph shows the ice skating ring which is just in front of the Millenium Park of Chicago. 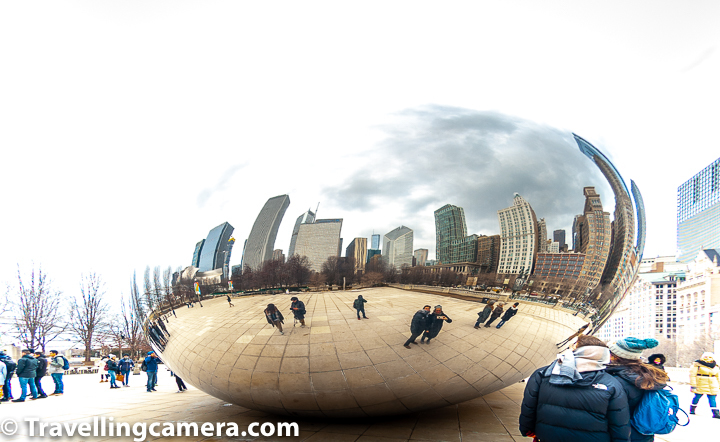 Cloud Gate is a three-story reflective steel sculpture in Millenium park, which is on the left of the photograph above. The first public artwork in the United States by world-renowned artist Anish Kapoor, the privately funded piece cost $23 million. 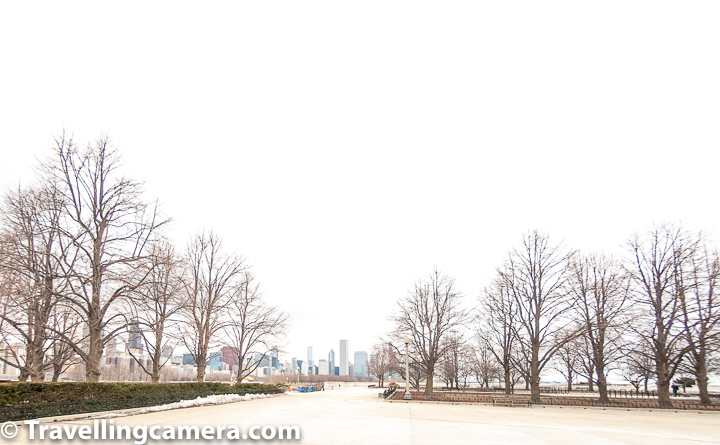 This is one of the most visited places by tourists in Chicago and popular element in Chicago photographs. 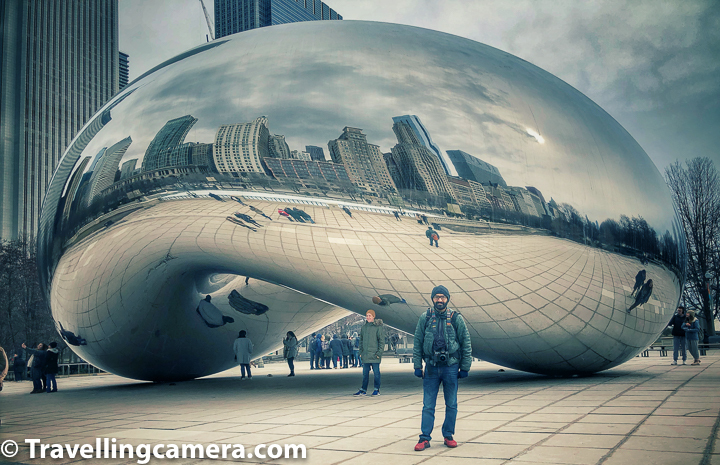 The Bean is an awesome art-piece to visit and see in person. 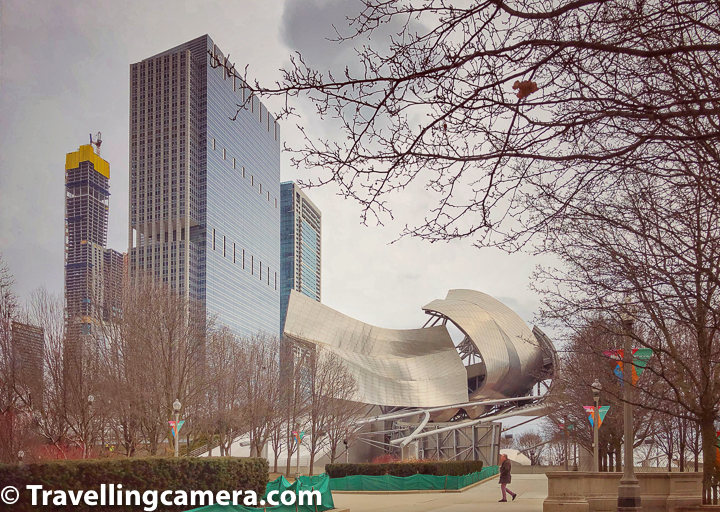 The center of Millennium Park is the Jay Pritzker Pavilion, a bandshell designed by Frank Gehry. The pavilion has 4,000 fixed seats, plus additional lawn seating for 7k the stage is framed by curving plates of stainless steel. 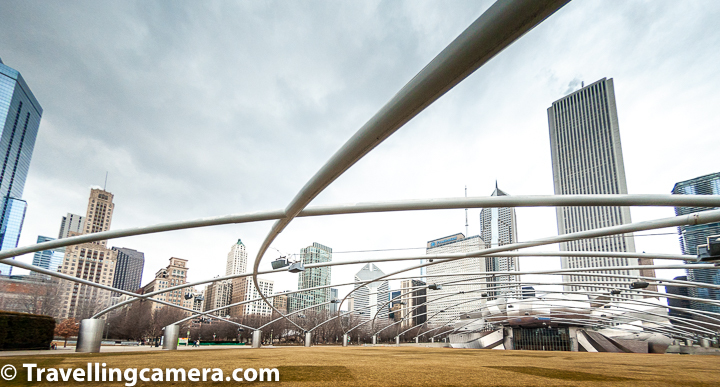 The Pritzker Pavilion is Grant Park's outdoor performing arts venue for small events, and complements Petrillo Music Shell, the park's older and larger bandshell. The pavilion is built partially atop the Harris Theater for Music and Dance, the park's indoor performing arts venue, with which it shares a loading dock and backstage facilities. 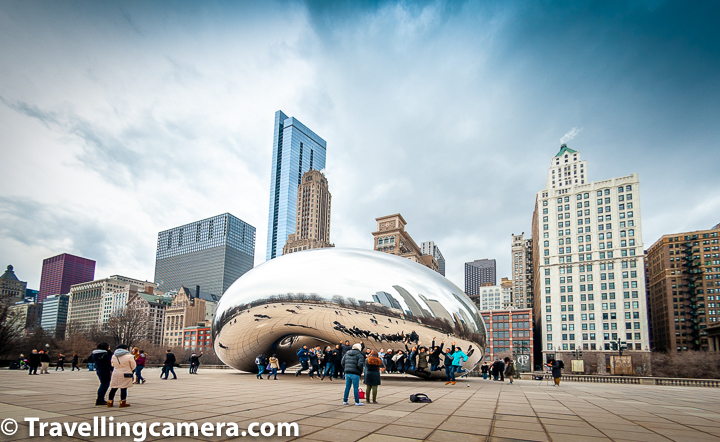 More than all above details, Millenium Park is the place where you get to see the famous Cloud Gate or The Chicago Bean. 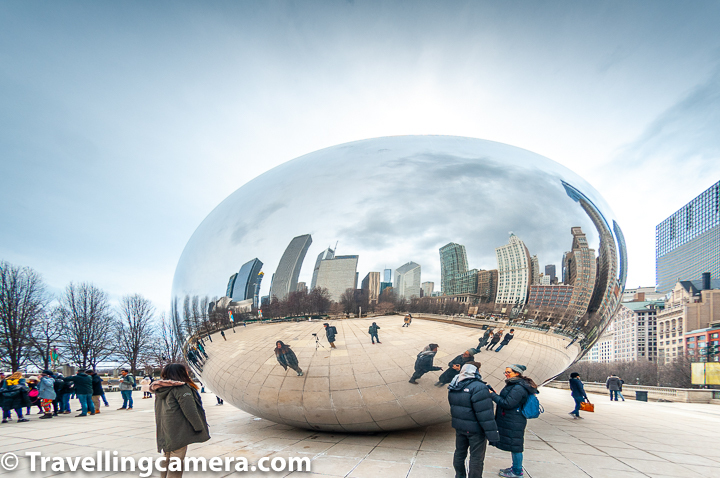 Even if you don't think of visiting Millenium park during your visit to Chicago visit, I am sure Cloud Gate would be one of the priority in best places to visit in Chicago city of Illinois State of USA. Millenium Park covers ~ 25 acres land of northwestern Grant Park. 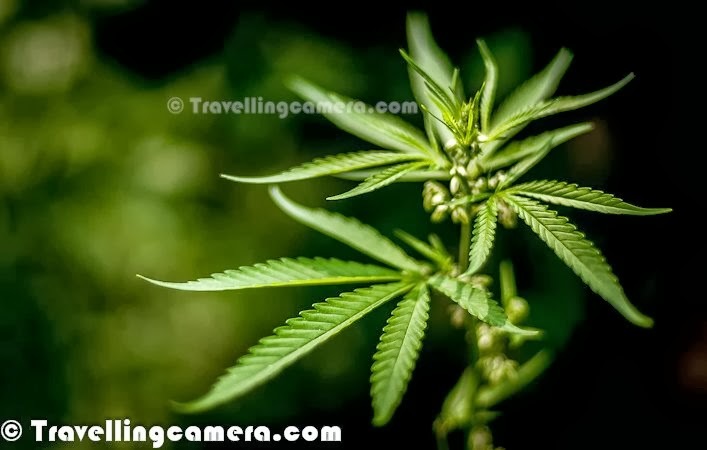 Park has variety of plants and trees, although winter is not that great time to explore these things. 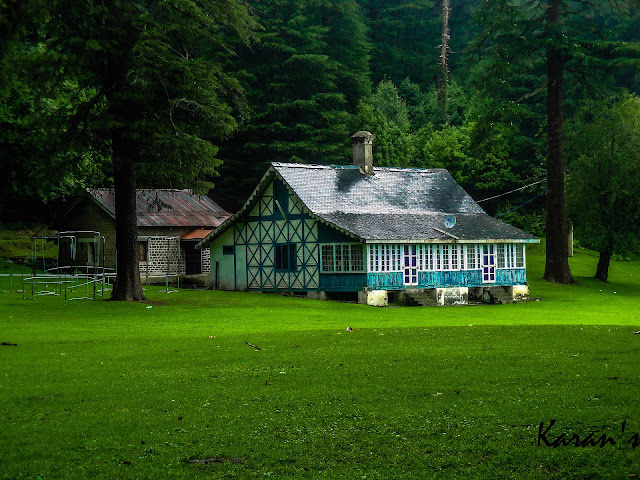 During winters you see very few plants blooming and even grass lawns are pale brown. 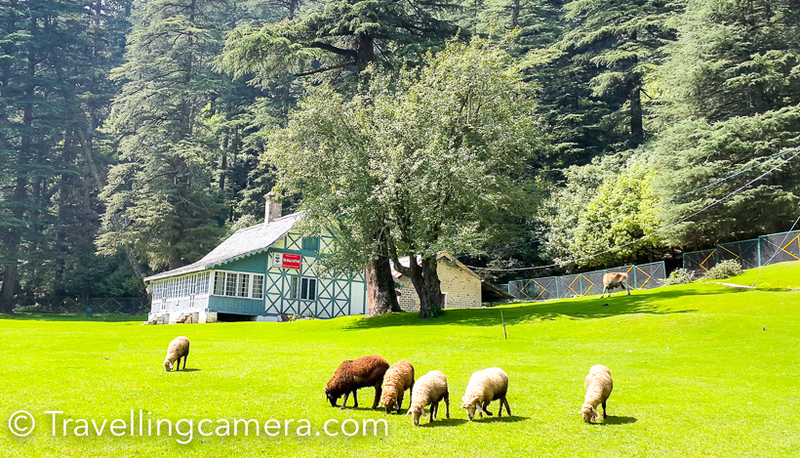 I loved this winter avatar of the city with all trees looking so symmetrical although I would have loved some colours around the park. 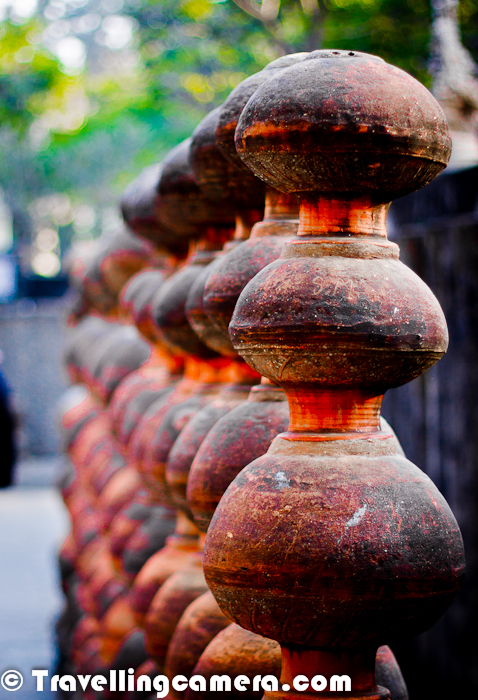 That essentially means that I should visit the city again in summers.